Salome is a holder of a Master of Science (Msc.) degree in Environment and Natural Resources from Makerere University, Kampala. Her Msc. research was on “Climate Change Vulnerability and Adaptation Responses of Fish Dependent Communities in the Albertine and Victoria Drainage Basins in Uganda”. She also holds a Bachelor degree of Arts in Environmental Management and advanced certificates in Environmental Journalism and communication - all from Makerere University. 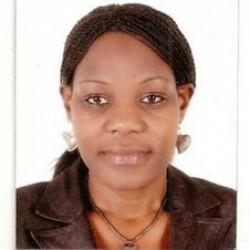 She has worked with various organisations the latest being Uganda Carbon Bureau where she worked as a Carbon Finance Specialist - managing the bureau’s on-going Carbon Neutral service as well as the Bureau’s communications and publications. Before joining Uganda Carbon Bureau, She worked with Uganda’s National Environment Management Authority (NEMA) as the National Project Assistant Coordinator under the UNEP - UNDP Poverty-Environment Initiative (UNPEI. Prior to working with NEMA Uganda, she worked as an Environment writer at the Daily Monitor Newspaper in Uganda. As Leader of Environmental Change, Development and Policy Department, she manages all aspects related to promoting sustainable mountain development in Africa including coordination and strategic leadership of the African Mountains Programme.